Ms. Maureen Dowd subtitle for her New York Times’ article about Mr. Scott Morrison (the new evangelical rightwing Prime Minister of Australia) claimed that President Trump finally had an ally. This is a probable overreaction as I can only assume Ms. Dowd has not seen what happened in Europe in the past two years. If she can point out any win by a leftist party during a European election since 2016, I will gladly listen. In Europe, President Trump probably has more allies than in the US by now. However, the new Australian PM Mr. Morrison seems an incredibly thorny issue for the liberal New York Times. Not only was his first act in office to call President Trump and invite him to Australia, but he also joked that he was a rubbish golfer, trying to get a foothold in with POTUS. Related coverage: <a href="https://thegoldwater.com/news/37027-Australia-New-PM-Morrison-You-Got-A-20-Dollar-Bill-Put-Your-Hands-Up-Video"> Australia – New PM Morrison “You Got A 20 Dollar Bill, Put Your Hands Up” (Video)</a>. 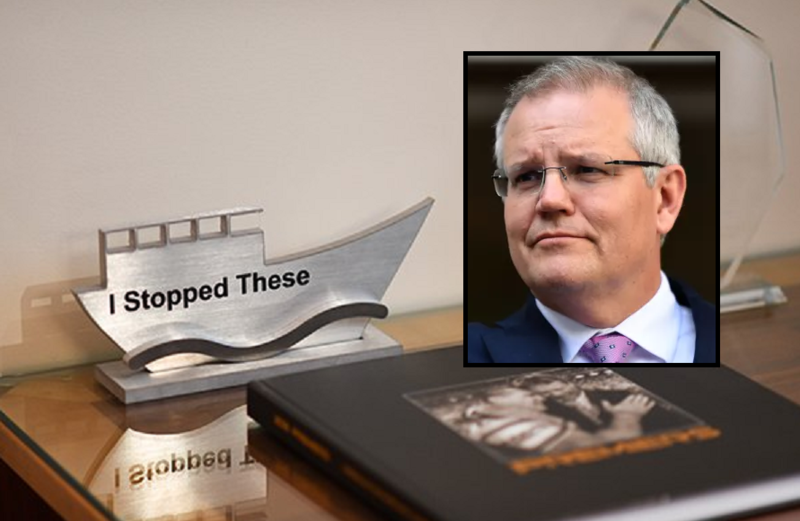 Furthermore, the New York Times was surprised by the new PM’s trophy of a migrant boat that read ‘I stopped these.’ The mentioning of the item has since made the rounds in the Aussie press. It is because Mr. Morrison (who was immigration minister until December 2014) and his successor Mr. Peter Dutton has never been apologetic over the Operation Sovereign Borders policy which includes offshore processing and turnbacks of asylum seeker vessels. When US President Trump announced his travel ban, Mr. Morrison at the time claimed he totally understood.